Custom Tshirt Ink was founded by a need to produce screen printed products faster than what any supplier could produce. Custom TShirts Ink started as the brainchild of David and Paige Vollmer of Isolator Fitness. David needed to find a faster way to screen print the Isolator Fitness logo on bags. Instead of slowing production and waiting on printers to catch up, David and Paige purchased screen printing equipment in 2009, officially starting Custom Tshirts Ink. Over the next 6 years, Paige would oversee the production screen printing and embroidery while David focused on building the Isolator Fitness brand. During the time the company acquired new capabilities and the business started to grow as a local provider of screen printed goods for businesses, sports teams, and custom fabrication projects. In 2013 Jon Schoonmaker came on board as full-time manager of Custom Tshirt Ink. Bringing on Jon was a huge relief to Paige who needed help with the ever increasing workload of custom t-shirt orders, promotional products, and ongoing garment and signage printing for Albright College. 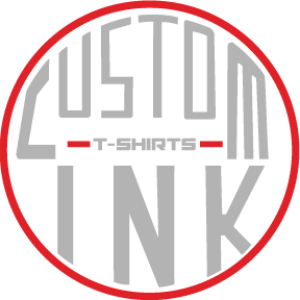 Today Custom TShirts Ink thrives as one of Reading, PA premier screen printing and embroidery shops, providing the affordable pricing on high-quality promotional items and delivering on time. We are a full-service screen printing and embroidery shop that offers affordable pricing and quick turnaround delivery. We can take your design ideas and make them into wearable reality.